Jordan Raybon, a Tampa native, has been dancing for the past 22 years. She received her classical training at Americas Ballet School under the direction of Paula Nunez as well as the Orlando Ballet School at the Patel Consveratory under the direction of Peter Stark. She has also trained extensively in Jazz and contemporary dance winning countless competitions both regional and national as well receiving many convention scholarships. Upon competing at YAGP regionals in 2007 Jordan placed in the prestigious top twelve. This is Jordan's third season with Florida Dance Theatre. 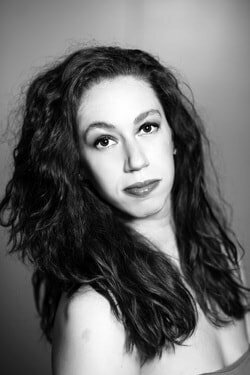 She has had the great honor of performing great roles such as the lead soloist in Ferdinand DeJesus' original work "Noir" , The Arabian Pas in The Nutcracker , and is beyond thrilled to be performing the role of Queen of the Vampires in this seasons Dracula. Another great highlight of Jordan's time here with Florida Dance Theatre was being chosen to go to NYC to perform at The APAP conference in Lincoln Center. When she is not dancing she is spending time with her sassy little girl , Camille. Jordan is very excited for this season at Florida Dance Theatre not only performing with the company but teaching at the Academy as well.